Flight acrobatic team of People's Liberation Army Air Force (PLAAF) at AirShow China 2012. 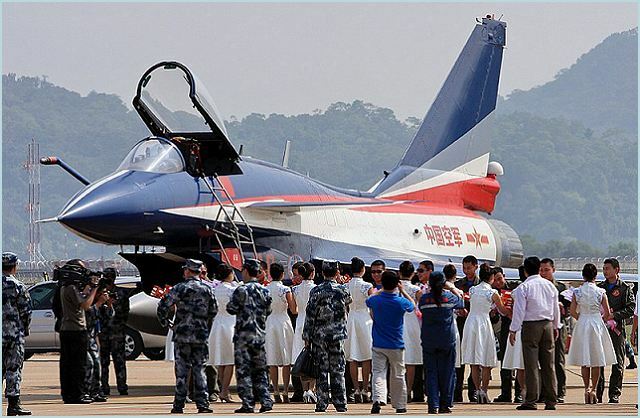 The flight acrobatic team of the People's Liberation Army Air Force (PLAAF) arrives at Zhuhai airport. 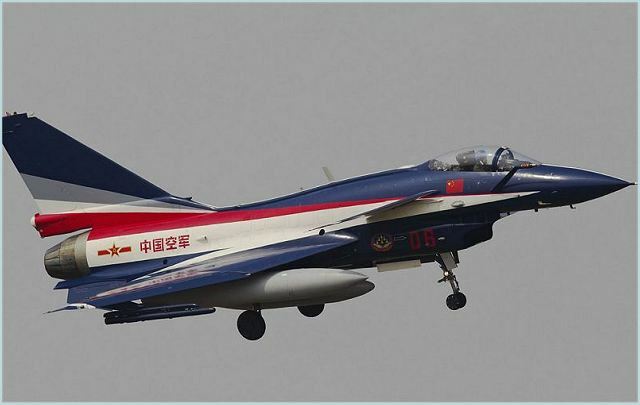 Seven J-10A Vigorous Dragon fighter jets will perform at the airshow while eight will used as a backup and static display. Airshow China is an influential and the most respected show in China for aviation and aerospace industries. It will be an ideal platform where China and foreign countries will exchange relevant information for the betterment of aviation industry. It will offer a vibrant opportunity to the exhibitors to demonstrate civil aviation, spaceflight, military aviation and defence technology (land, air and sea), components, equipment, materials, maintenance, repair and technical services (MRO), infrastructure, research and development, authorities, organizations and associations, training, information, services. Airshow China will give a deep insight on their business strategies and critical market challenges. It will offer practical solutions for all emerging challenges which are being faced by the industry.